Home > Scientist Of The Past Who Shaped Our Present And Future > Into the Universe with Stephen Hawking. Into the Universe with Stephen Hawking. It is only when we think about how big our universe is and the forces out there, do we realise that we are completely at its mercy. The current human technology, with all the advancements that it has made over thousands of year stands is not yet prepared to defend itself. We can consider ourselves, that even with all the disasters and calamities, natural or otherwise, we here survive today, because the Universe has been lenient towards us. But we have got the most powerful weapon in our Arsenal, a weapon which we can use to ensure our survival and that weapon is our mind. Born in January 8, 1942 at Oxford, England Stephen William Hawking is a theoretical Physicist, cosmologist, author and a dreamer. Although he could not move and spoke through a computer, in his mind he was free, free to explore the deepest questions of the universe. And among one of those questions was Does God exist? And was it God who created the Universe? He believed that everything could be explained by the laws of nature. The big controversy that he faced was that if these laws of the nature were fixed and explained by science then, what is the need for a God? He believed that the closer we looked, the more we could discern about the universe as opposed to what religions believed to be rules made by God and it was upon him to govern it as the almighty wished. As a young kid, Hawking was a bright and inquisitive kid and was nicknamed “Einstein” by his classmates. He was diagnosed with amyotrophic lateral sclerosis (ALS) (The Ice bucket challenge that we all know about is basically an awareness campaign started to make people know about it and to raise funds for its cure.) at the age of 21 and said that he had only two years to live. He explained how his prospect of an early death motivated him and come up with numerous intellectual breakthroughs. 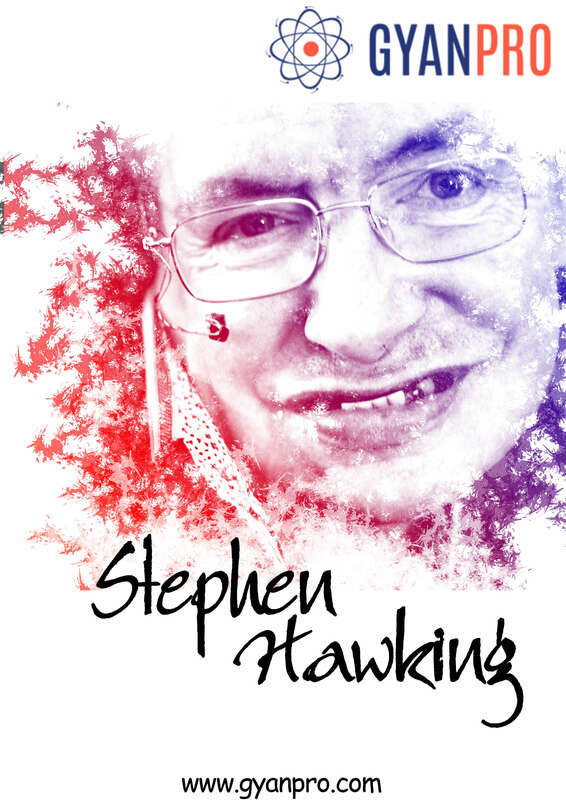 He collaborated with Roger Penrose on the study of Gravitational Singularity theorem and the theoretical prediction that blacking holes emit radiation is known as Hawking radiation. Inspired by Penrose’s theory of space-time singularity at the centre of the black hole, he extended the idea to the entire universe and continued his work, which earned him his Ph.D in 1966. One thing Hawking has taught us is that we must never bow down to the circumstances that hinder us, and have the will to fight it and all we need to have a strong and undeterred mind. Germany’s Nuclear Man– Walter Bothe Newton’s Rediscovery of Gravity!! Eugene Augustine Lauste: From freeze frame to motion pictures An Invention that Shocked the World – The Story of Joseph Erlanger.